Initially attempted to ascend via the tower access road off Governors Road, but it was gated and posted. 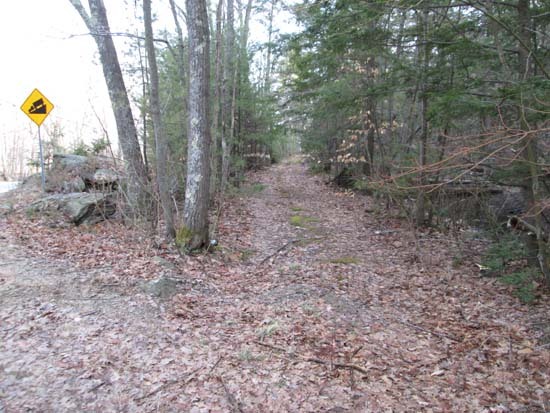 Instead, I parked at the pull off at the height of land on Route 107 and followed a woods road briefly, which petered out. From there, I bushwhacked just east of the ridge in mostly open woods. The west side of the ridge had some cliff bands and older logging, so the east side seemed better. 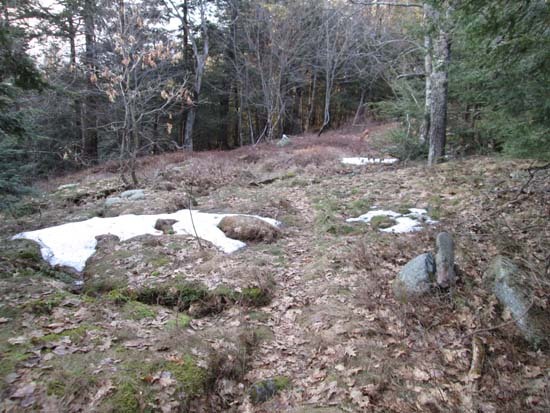 The woods were mostly snow free and dry, with the exception of a few small patches of snow or muck. Just north of the summit, I picked up a path marked with cairns. It looks like it has seen some use this month, but I'm not sure where it goes. 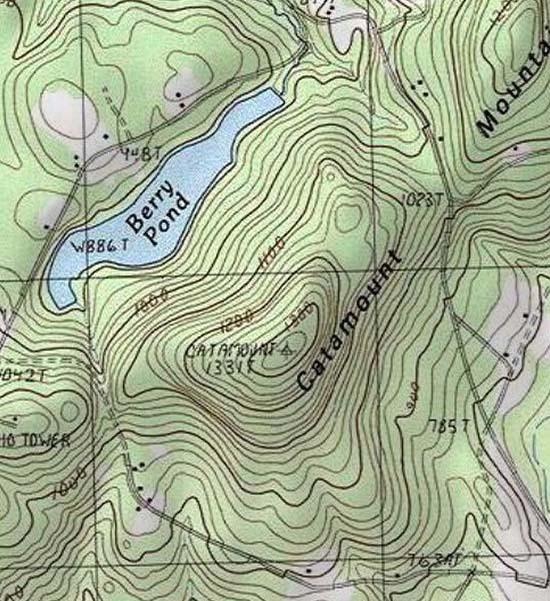 I suspect it may come up from Berry Pond. I found three viewpoints near the summit, providing views in multiple directions (but not to the northwest). One was just north of the tower, another just south of the highpoint, and another just off the top switchback on the access road. 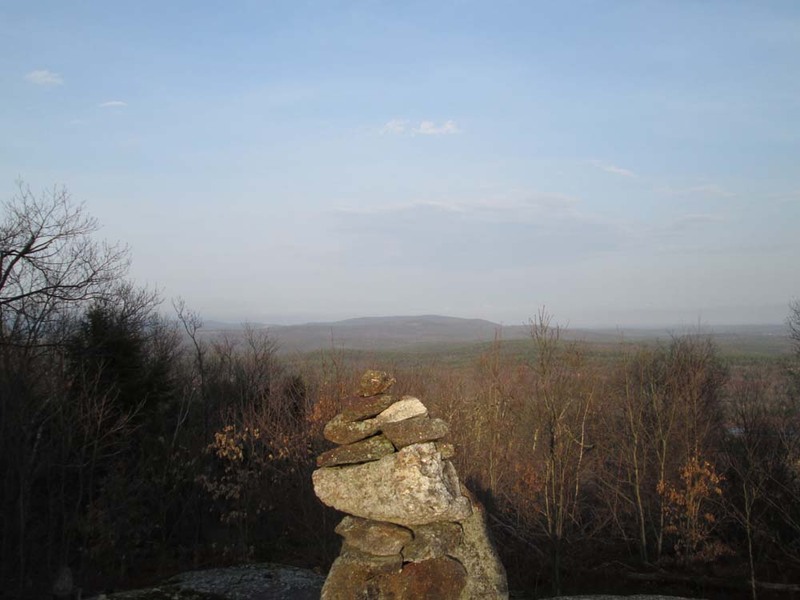 Directions to trailhead: Catamount Mountain is located southeast of Pittsfield, near the height of land on Route 107. There is a pulloff at the height of land.